The first season of Arrowverse spin-off Legends of Tomorrow was preceded by an introduction in crossover episodes of Arrow and The Flash. 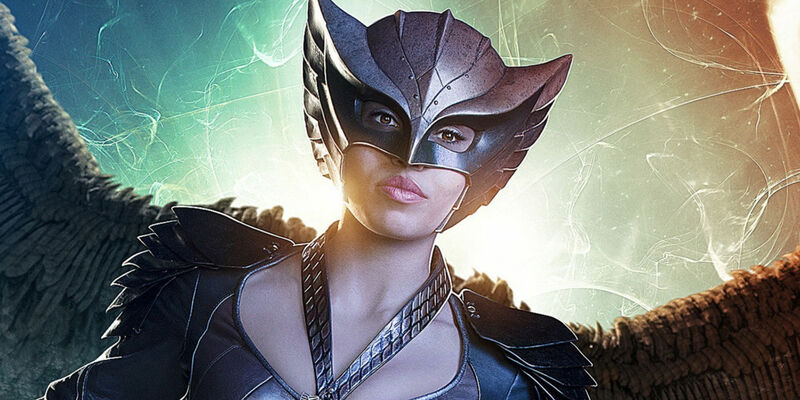 Viewers learned Cisco's (Carlos Valdes) newest crush, barista Kendra Saunders (Ciara Renée), was actually Hawkgirl. She discovered her hidden superhero identity with the help of reincarnated, romantic destiny Carter Hall (Falk Hentschel) and their millennia-long rival, the immortal Vandal Savage (Casper Crump). These three new characters, and their epic cycle of life and death, formed the basis for Legends. The show brought us Time Master Rip Hunter (Arthur Darvill), who put together a disparate team of heroes that included Hawkman and Hawkgirl, to prevent Savage from conquering and destroying the world. Despite hundreds of failures before, Kendra and Carter were finally on the winning side in the season finale, bringing a fatal end to Savage in one of the team's three simultaneous attacks across the timeline. Though it initially looked as though the entire Waverider team would be together for another mission, sans the dearly-departed Leonard Snart, Hawkgirl and Hawkman revealed they'd be bowing out of time travel. Deadline confirms that Renée is departing as series regular; recurring guest star Hentschel follows her into the sunset. Legends co-creator/executive producer Marc Guggenheim explained that the decision to ax the characters seemed logical once they started mapping out season 2. "We went through the team, made a list of all the characters and started to think of stories for them. When we got to Hawkman and Hawkgirl, we had trouble coming up with stories. The bow was tied so tightly and neatly with their story in the finale, that everything we thought of felt very forced. After 4000 years, they were no longer under the specter of Vandal, and we felt they need some time off. Bringing them back to the team as soon as the the beginning of Season 2 felt premature." In the DC TV universe, an end is rarely an end, so it's certainly possible the characters will return again. Legends has now introduced the Thanagarians, an alien race that served as an origin for Hawkgirl and Hawkman in the comics, but in the TV realm provided the characters with their power. There's also that looming threat of a future Thanagarian invasion, which Guggenheim says is a plot thread that will "remain relevant" in season 2. That said, the final minutes of the finale gave fans a whole new revelation about the next chapter in the story. With the destruction of the Oculus and the corrupt Time Masters, there's a Doctor Who-like void in the business of monitoring all of Time. Just as they're about to set out to keep history safe from people like themselves, the team is stopped by an unknown man who identifies himself as Rex Tyler (Suits star Patrick J. Adams) from the Justice Society of America. As Guggenheim notes, this opens up a world of possibilities for Legends. "The season finale planted some very significant flags in terms of what the new concept of the show will be in season 2 ... The team’s mission statement for Season 2 is more compelling than Season 1, and at the same time, it is more streamlined. It's a little bit higher concept, a very clean notion that will allow the show to do things that it does best." Many viewers would agree that the Hawkgirl and Hawkman characters were the weakest link in the series, partially due to some wooden acting and partially to some weak plotting like the awkwardly forced romance between Kendra and Ray Palmer (Brandon Routh). They'll be replaced by Tyler, aka Hourman, plus two more potential Justice Society members the show is casting for now. And with Jay Garrick's Flash and Mr. Terrific being Justice Society members in the comics, and a four-way TV show crossover between Arrow, Flash, Supergirl, and Legends coming up, things definitely do sound a lot more "compelling" for season 2.